During the Snow Day yesterday the kids and I decided to put together the Star Scavenger. This is the ship from the show, LEGO Star Wars The Freemakers. It was a very enjoyable show to watch. It has all the humor that you come to know from things like The LEGO Movie and The LEGO Batman Movie. It also has the whole mythos of Star Wars to draw upon. In the show you will see many of the characters from all over Star Wars including people like Luke Skywalker and Princess Leia. 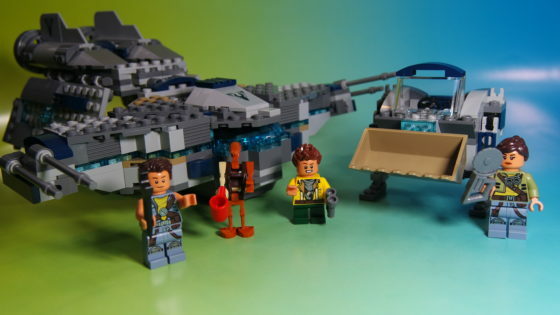 I am looking forward to a second season and would really like to get the other LEGO set from the show. If the show continues then I suspect that even more sets will be made, at least I hope so.